If you live in a small apartment or condo you know how challenging home decorating can be. 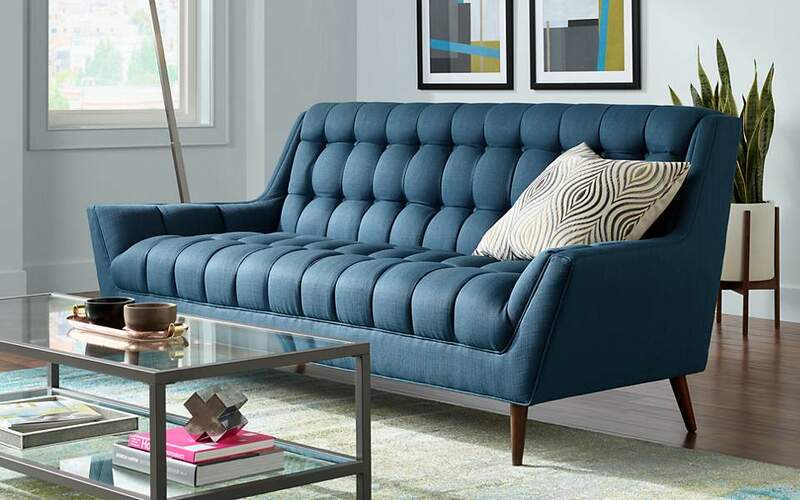 Problems range from trying to squeeze an oversized sofa into a micro-sized space and home decor accessories built for a McMansion that just won’t fit. Living well in a small space does require some creativity and ingenuity, there’s no doubt about it. With that in mind, here are some tricks of the trade to get you started living well in that mini-space that you call home. To make your miniature apartment feel bigger use a wall mirror…or mirrors! Decorative mirrors help create the illusion that a room is larger and help reflect sky and light from windows. Place a mirror over a couch, on a door, in a narrow hallway, or next to a dining room table. You can even find furniture and lighting with mirrored surfaces, such as mirrored-top coffee tables and side tables. You can free-up valuable floor real estate by moving your lighting off the floor and onto the wall or ceiling. Instead of placing a floor lamp next to a sofa or a table lamp on a side table, consider using a wall mounted swing arm light as a task light. These types of lights are easy to install and can be adjusted for reading or other tasks. There are other types of wall mounted lighting as well. Wall sconces can be placed on around a couch or fireplace to help define a space and add ambient, general room lighting. Or you can leave the wall altogether and head up top to the ceiling. Track lighting or track kit lighting can be used as task lights, leaving both floor and wall space free and open. Furniture tables with clear Lucite or glass tops give an impression of openness and space while still offering functional tabletop surfaces. Go for glass top furniture, clear top side tables, or coffee tables and dining room tables that offer a see-thru, open look. Create a mood by adding a dimmer control to your overhead lights, table lamps and other lighting sources. Varying the light output of the lighting in your small space can help give the illusion that the space is larger by creating layers of light and visual interest. As an added plus, by using a dimmer you’ll be saving energy and extending the life of your bulbs. 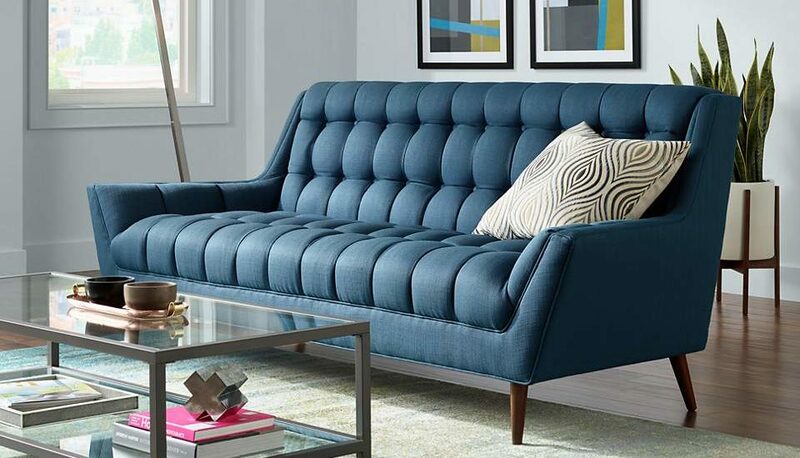 Instead of that overstuffed couch, use a stylish loveseat that’s in scale with the proportions of the room. A small apartment can actually look bigger with furniture in it that’s scaled to the size and dimensions of the space. One idea is to use a small scale open leg chair or sofa as opposed to one with a skirt or heavy padding. Not light as in an electrical fixture, but light as in a light tone and hue of color in your area rug. Using a brightly colored, light hued area rug will help open up a space. Dark colors on the floor make a space feel smaller and (makes sense!) darker. Using a lighter hue on the floor will help “float” your furniture and add a sense of space and air. Get that clutter out of sight and out of mind. If you have lots of collectables, group them together in an open, glass door display case, or place them on an open wall shelf. You can also rotate what you display, showing only a part of your collection at any one time. Use decorative storage boxes to hide clutter, and consider furniture, such as ottomans, that offer hidden storage space. Need Help with Apartment or Condo Lighting and Decorating? We are here to help! Visit a Lamps Plus store near you or contact us for product recommendations and decorating advice. We have other articles and tips to check out about decorating apartments and condo spaces.